Few places in Cornwall or even in the United Kingdom will you find that has a combination of beautiful seaside views, excellent sandy beaches, fantastic waves for surfing and a great nightlife. Found by the coast near the southern tip of Cornwall is the beautiful seaside town of Newquay that has all of these and so much more. It is steeped in history where the old and the modern meet. And nothing speaks volumes of modern comforts than the On The Rocks Bar. On The Rocks Bar is a beer bar located in the heart of Newquay and is one of the top destinations for the town’s nightlife. It’s just a few steps away from Towan Beach so you can definitely pop on by after a day of beach and surf. It is also very close to Hotel Sunnyside so if you’re staying there, On The Rocks is the nightlife place you were looking for. On The Rocks Bar is a great place to hang out and enjoy a drink of some of the local ale available in Newquay. In fact, it does boast a wide range of quality drinks to choose from so you can never run out of things to try drinking. It also has a great atmosphere as the place is usually not crowded with the typical stag party crowds you would find in other bars and pubs. It has some great amenities as well so that you can really enjoy your time. Most people agree that one of the great things about On The Rocks Bar is its atmosphere. Since it’s not along the main roads of Newquay and is a bit off the beaten track, On The Rocks promises to have a chill atmosphere which is more often just filled with locals and not your usual tourist crowds. This means you can really sit back and relax without feeling crowded. The place also has great music where they have different live music performances and theme nights every night. They play host to a great number of musical genres ever night such as hard rock, indie rock, electronic rock, 60s and 70s music, hip hop, and even reggae music. They also have DJs playing on certain nights, so there is a great choice of music to choose from every night. On The Rocks has a full bar, so you won’t just get a selection but really be able to find most drinks that you want. From the regular beers and ales to the more exotic and potent alcoholic drinks, On The Rocks has got you covered. Definitely, a place to visit when in Newquay even if just to sample the selection of drinks. You can also enjoy a game of pool at the bar or enjoy one of the many retro arcade game machines to choose from. It is a place not just for drinks and music but a place to hang out, chill and play some games. If you’re looking for an all-around bar that has something for everybody, then On The Rocks is your choice of bars to choose from. 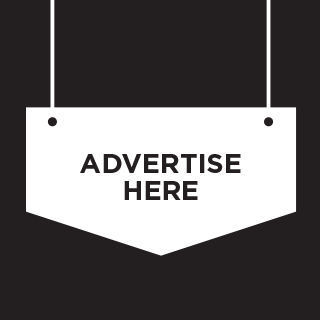 Click the advert to contact us and promote your business in this space. We are looking for contributing writers to help us build the ultimate guide to nightlife in Newquay. If you are passionate about the town and would like to write for us, please get in touch. Instant quote and online booking. 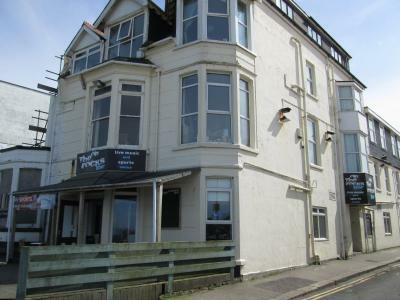 Newquay Nightlife is the premier guide to the world class resort of Newquay, Cornwall. If you have any feedback, if there is anything you would like us to cover or if you'd simply like to say hi, please get in touch.